Lose more fat, build more muscle in just 30 days. Quick fixes, magic potions and diets are DEAD. We have helped over 5,000 people maximize their fat loss and muscle building goals. 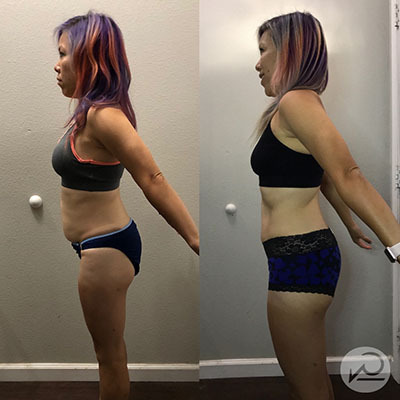 Our Fat Loss participants have lost up to 20lbs during the 30-Day Challenge. 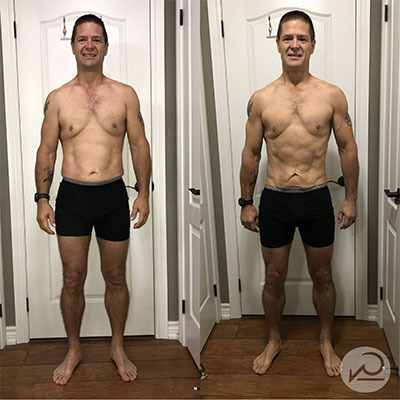 Our muscle building participants learn to break through their plateaus without the pain of the "chicken and rice" diet used by so many other coaches. Why gut health has ahuge impact on your ability to lose fat and build muscle. Gut health is crucial to the breakdown, digestion and absorbing of nutrients. When your microbiome is in an optimal state, your body can better process and utilize the carbohydrates and proteins (amino acids) you consume, which are essential for building lean muscle. Gut health and fat loss go hand and hand. When your gut is functioning properly you are able to detoxify efficiently. Toxins are stored in fat cells and with optimal gut health, the body can more readily excrete this waste. Your gut is the place where health or illness is born, and so this is also the place where healthy or unhealthy weight begins. Empowering you to choose the foods that reduce inflammation is the key to bringing you body back into an optimal state of homeostasis. The bacteria in your gut helps to support many of your body's hormone production pathways. Optimal hormone balance is crucial to losing unwanted fat and keeping it off long term. Learn more about how our team of dedicated coaches will help you reach your goals. It’s not what you lose, but what you gain. Just enough to be dangerous! OurLean Muscle Building Customization its completely dependent on your personal information and changes each week as you check in and give us data. Ensuring customization week after week. During the first week we compute a well-balanced array of macros to 1) get your intake consistent so we know where to adjust for a surplus and 2) eliminate any foods that could be toxic, acidic, or causing a lack of absorption. If you cant absorb it, you cant use it. At this point its time to remove the foods that could be causing inflammation specifically. When muscle building its easy to eat a lot of food but its hard to eat a lot of food that’s actually getting utilized. By focusing on lowering internal inflammation, we can prepare the body for a surplus of nutrients that will not be suppressed by an inflamed digestive system. We do this my strategically lowering carbs and increasing growth hormone producing fats and muscle building amino acids from protein. This is the game changing week. During this phase we are saturating your body with muscle developing glycogen (carbs) in order to stimulate your bodies muscle building abilities. Because of the prior 2 weeks, your bodies ability to absorb and utilize nutrients will be at its highest so nothing goes to waste. The final week we will balance out all the macros so you can eat and workout for continued muscle development. Your carb intake will be high enough for fueling workouts, your fat intake will be optimized for stimulate hormones, and your protein intake will be at an ideal ratio for building muscle well beyond this challenge. Our Maintenance Program its completely dependent on your personal information and changes each week as you check in and give us data. Ensuring customization week after week. During the first week we focus on lowering carb intake and utilizing specific fats and proteins to help stimulate natural detoxification. This helps elevate stress on the liver, optimizes gut health, and removes toxins that could be causing unnecessary stress on the body. At this point we want to remove any foods that could trigger inflammation, the biggest culprits of plateaus, fatigue, food sensitivities, and hormone imbalances. We remove the primary food groups that trigger the symptoms and prepare the next week of re introduction. This is a perfect opportunity to stimulate our energy metabolism (carbs). We focus on the carbs that give you consistent energy and allow you to feel how you have always wanted to feel while eating carbs. The cool thing about carbs is that they also share lots of properties that help natural detoxification, especially for the liver. So we educate everyone on specific foods and methods to use to aid in this process. This is the week we bring all of your macros “together.” We bring balance to the numbers and merge together all the assets you obtained with the previous weeks learning. The idea is to execute your final week from a macro perspective that you would a real lifestyle. The key is you are starting this path with a clean state, a fresh start, and a new found education for internal health and wellness. 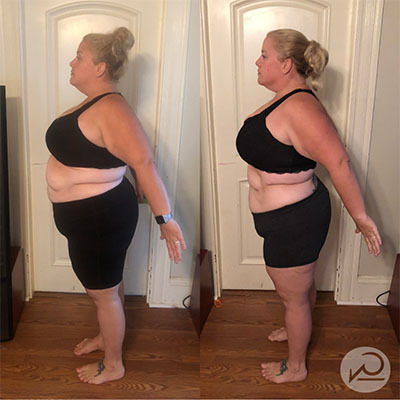 I dropped 6.2 lbs which I did not expect since I was eating more than I’ve ever in my life—consistently. Although my journey is far from done yet, this has given me the confidence and knowledge to catapult myself into the next steps! For me, the most valuable thing is really looking at the foods I eat to see how they are comprised. As mentioned earlier, we all know how to eat, but until doing something like this WP Challenge, we may not all know what to eat and when. This is the first real challenge I’ve done. I’ve done a “Biggest Loser” with friends, but that was just weight loss. There was nothing healthy or sustainable about it. This challenge Has educated me for life and how to deal with its daily challenges. Customized macros are adjusted weekly based on your week-to-week results using Will-Powered’s custom ratio formulations. Access to a team of coaches who have been hand selected - specializing and experienced in - providing support, answering questions and guiding you through the entire 30 days. Weekly workout routines and cardio routines. Optional for fat loss and maintenance goals. Weekly FB LIVE streams to answer real-time questions and explain WHY everything is happening the way it is. Access to our exclusive, private FB group for this challenge. Arguably the biggest asset to this entire program. The experience in our group community is priceless. Macros are custom formulated by Will Armijo - they do not come from a “macro calculator”. We do not sell you an eBook to follow for the 30 Days and then send you off on your own. This is a nutrition education program that uses macro tracking as the platform to ensure results. This program will leave you with an experience, an education and coaching that will propel you toward success well beyond this 30 days. You are not paying for macro numbers and a guide book. This is an investment in one of the most successful 30-Day Nutritional Coaching programs in the world.